No matter how excellent your cleaning skills are, these situations are best to be left to the pros. People who live in a rental property are often obliged by their tenancy contract to leave the house or the flat they are renting in the exact same condition in which they found it on the day they moved in. That is why they need to opt for a low-cost end of tenancy cleaning in Aperfield TN16, for example. 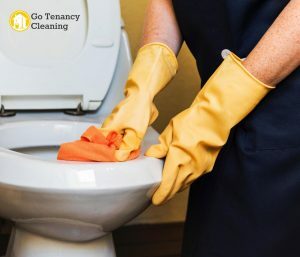 Registered and experienced cleaning companies that operate on the territory of Greater London know what local landlords expect from their tenants and are aware of their moving-out cleaning requirements. Trust them and they will get your rental deposit back in no time. When moving into a new property, many choose to use quality house removals in London. So, you may be now wondering why you should even bother to book cleaners before you even start unpacking. Because you can never be sure if and how the house has been sanitised by the previous tenants. If the property has been unoccupied for several weeks, you will still need to have it professionally cleaned because dust does not require a human presence to accumulate. Things are always messy after wrapping up a home renovation project. Paint splashes, dirt, clutter and dust are all over the place and even if you try to clean everything by yourself, you will eventually realise that what you need is either a miracle or a deep cleaning service. Opt for the second. Children, no matter how old they are, are prone to making a mess. They are also prone to allergies. As a result, many caring parents arm themselves with highly aggressive detergents in their effort to keep bacteria and viruses away from their kids. What they do not understand is that toxic cleaning products can also have a negative effect on their children’s health. Hire a company that can steam clean your home every few months. This method is very safe yet effective. If your weekly cleaning routine revolves around seeking new ways to remove pet hair, urine stains and suspicious smells from different types of surfaces and fabrics, then you are certainly a pet owner. Do yourself a favour by using hassle-free cleaning services. As a rule, allergies get worse in the spring. One excellent way to cope with that tendency if you are an allergy-sufferer yourself is if you book a team of experts for an extensive spring cleaning.